Elder Things and Cone-Shaped Beings: Creators and Created? Last time it was established that the cone-shaped beings (CSBs) has been on Earth for at least a billion years, while the Elder Things came to Earth sometime in the Archaen Aeon (between 2.5 and 4 billion years ago). When the Elder Things arrived on Earth, life only consisted of prokaryotic (bacterial cells) life. It was the Elder Things that created more complex, eukaryotic cells, which then gave rise to multicellular life. It appears that one of their earliest experiments, whether the eventual outcome was intentional or not, may have the creation of the CSBs. If the Elder Things did create the CSBs, why didn’t Dyer and Danforth come across a description of these beings on the bas-reliefs they were examining in the ancient city in At the Mountains of Madness. There are a number of possible explanations. As Dr. Robert M. Price described in his article – Patterns in the Snow: A New Reading of At the Mountains of Madness (Crypt of Cthulhu, Issue 81; 1992), the data that Dyer and Danforth collected were based on conjectural “readings” of “mute bas reliefs in one single building in a vast city..”. Dr. Price hypothesizes that it may be possible there was some misinterpretations of the bas reliefs. For example, what if the story of the Elder Things was not them coming to Earth and establishing a civilization? What if the story was that the Elder Things were also residents of Earth who created the Shoggoths and then voyaged to the stars (Price, 1992)? Thus, isn’t it possible that other passages of the bas reliefs were misinterpreted, including any mention of the CSBs? Another explanation is that descriptions of the CSBs were found in other buildings within the city. 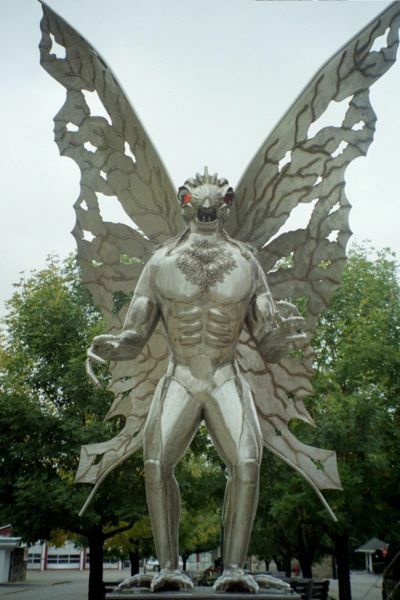 Maybe each building or section of the city provides information on various aspects of Elder Thing culture or history. As an analogy, imagine if an alien civilization was given the chapter summaries from a book on American History. While an overall view of general historical accounts would be given, large portions of critical details would be overlooked. This may be the case in At the Mountains of Madness. Finally, maybe the Elder Things did not consider the CSBs to be very interesting to include them in their historical accounts. However, this last explanation is unlikely. While the CSBs or the Great Race were not mentioned in At the Mountains of Madness, the Elder Thing were mentioned several times in The Shadow Out of Time. The first time they are mentioned was when Wingate Peaslee was describing some of the other minds that were transferred with the bodies of the Great Race. I will review some of these Terran and alien minds in a later article but Peaslee did state that “Of earthly minds there were some of the winged, starheaded, half-vegetable race of palaeogean Antarctica…” Thus, it is obvious from this passage that the Elder Things are susceptible to the mind transfer with the Great Race, just as are humans. In a later passage it was noted that warfare has been waged by the Great Race against various species, including the “…star-headed Old Ones who centered in the Antarctic, was infrequent though infinitely devastating.” Thus, it sounds like the Great Race and the Elder Things rarely had contact but when they did war was typically the result. 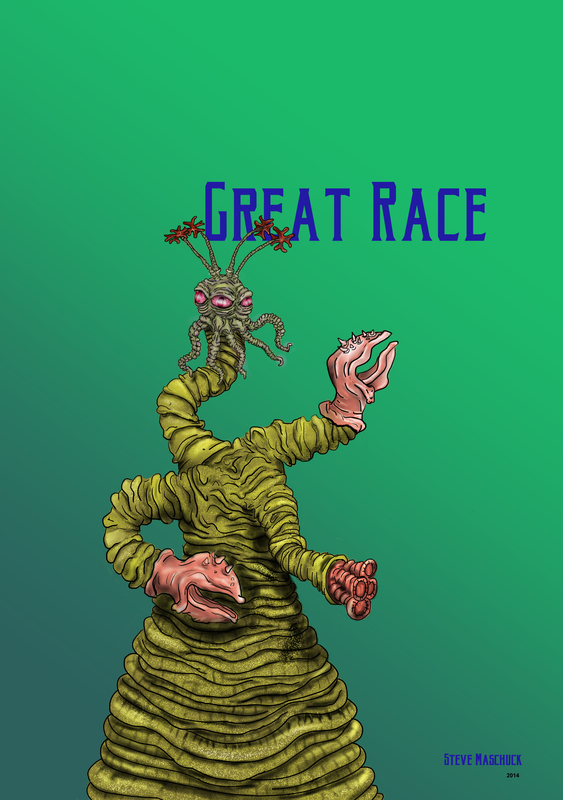 In addition, being described as “devastating” by the Great Race indicates that the Elder Things were typically the winners of such skirmishes. It sounds like the camera-like electrical weapons of the Great Race were no match against Shoggoths! The last time the Elder things are mentioned is when Peaslee is again recalling some past memories and asks himself if he can find a tower in the Great Race’s ancient city where “S’gg’ha, the captive mind from the star-headed vegetable carnivores of Antarctica, had chiseled certain pictures on the blank spaces of the walls?” Here we actually given the name of an Elder Thing! 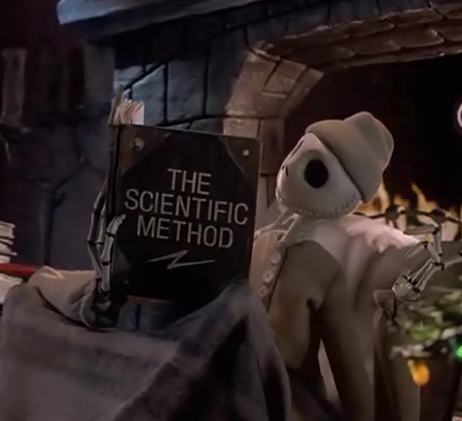 Jack Skeleton reviewing the Scientific Method, from The Nightmare Before Christmas (www.mia6.tumblr.com). What I love about both science and working on this WordPress page is that I am always learning something new. I like to say science is not math. While 1 + 1 will always equal 2 (at least in our known part of the Universe), science works by making observations, developing a predictive hypothesis to explain how something works, and then testing that hypothesis. If the resulting data supports the hypothesis, additional tests are done for further validation. However, if the resulting data to not support the hypothesis, it has to be either modified or thrown out for a new hypothesis. This has been the case for my analysis on the origin of the Great Race. Based on the available data at hand, I hypothesized in the first article that the cone-shaped beings (CSBs), were either related to one of two Class of Mollusks (Gastropods or Cephalopods) or that they need to be in their own separate phylum. I concluded the second article citing the bizarre life forms that were identified in the Burgess Shale, which is dated between 530 and 510 million years ago . I then hypothesized that maybe the CSBs were the decedents from a species that resided in the Burgess Shale. The key to that passage is the CSBs were on Earth a billion years ago. Thus, the CSBs are approximately twice as old as the multi-cellular residents of the Burgess Shale (maybe the CSBs have been on Earth longer than a billion year ago)! Additionally, according to HPL’s At the Mountains of Madness, the Elder Ones (or Things) came to Earth in the Archaean Aeon. Following S.T. Joshi’s approach, I will use the more up-to-date age estimated for the Archaen Aeon. Thus, the Archaen Aeon is estimated to be between 2.5 and 4 billion years ago (cited in both M.J. Benton’s The History of Life and in the explanatory notes by S.T. Joshi for At the Mountains of Madness, found in The Thing on the Doorstep and Other Weird Stories; 2001). When the Elder Things arrived on Earth in the Archaen Aeon life was limited to prokaryotic cells (bacteria). It was the Elder Things, through elaborate forms of bioengineering and endosymbiosis, who created more complex eukaryotic cells, which eventually gave rise to dinosaurs, humans and Shoggoths (which were probably the pinnacle of success for their experiments). Is it possible that the Elder Things also created the CSBs? 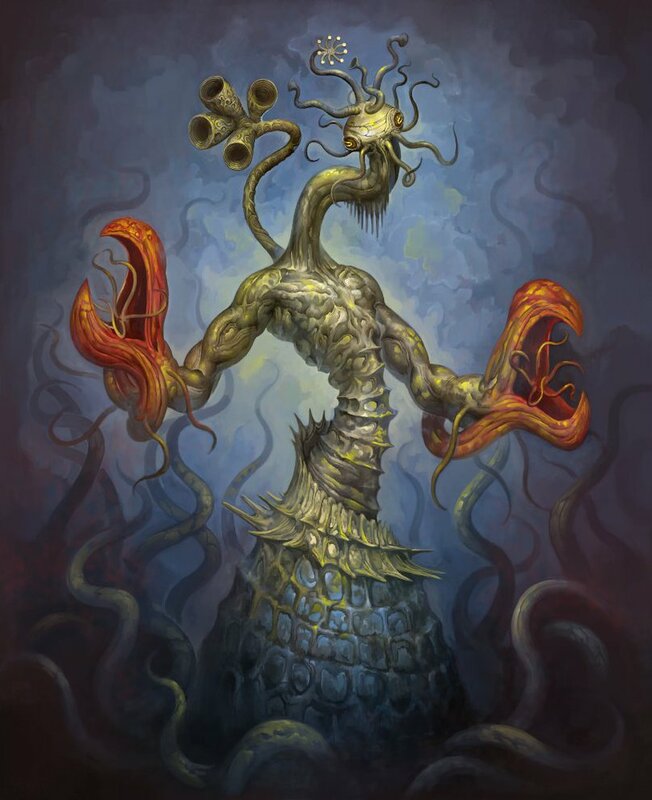 Were the CSBs an early experiment that slithered away to evolve on their own, only to have the Yithian minds invade their bodies approximately 400 million years ago (this date was identified in the 2nd edition of The Encyclopedia Cthulhiana by Daniel Harms; 1998)? To summarize, we know based on HPL’s writings that the CSBs were not aliens. They were natives of Earth. If that is the case, and the Elder Things arrived on Earth before the CSBs appeared, then more than likely the CSBs were a by-product of the Elder Things experiments on life. This strange geologic relationship between the Elder Things and the Great Race will be discussed in more detail in the next article. Thank you – Fred. As surprising as the presence of Shoggoths in Innsmouth in HPL’s The Shadow Over Innsmouth, is the appearance of the Elder Things (or Elder Ones as named by Robert M. Price) in his story The Dreams in the Witch House. While the Elder Things were not explicitly named in the story, they certainly made an appearance based on their description provided by HPL. As Gilman moves to stand up on a terrace, he examines the chest-high balustrade (a type of ornamental railing). They are made of a strange shining metal whose “colour could not be guessed in the chaos of mixed effulgences, and their nature utterly defied conjecture.” These balustrades “represented some ridged barrel-shaped objects with thin horizontal arms radiating spoke-like from a central ring and with vertical knobs or bulbs projecting form the head and base of the barrel.” The description continues for a another three long sentences and was clearly describing a small representation of an Elder Thing. 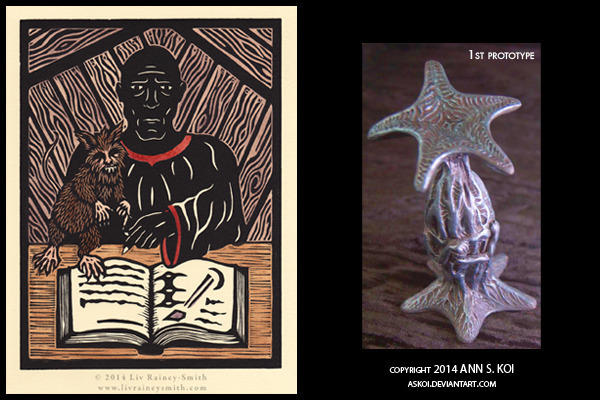 To the left is a representation of Nyarlathotep and Brown Jenkin by Liv Rainey-Smith in a hand-colored woodcut (called “Sign!”). 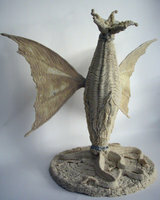 To the right is an Elder Thing “Balustrade” figurine by Ann S. Koi. Both can be found on the Kickstarter website for the H.P. Lovecraft Film Festival & CthulhuCon 2014 Portland, OR. 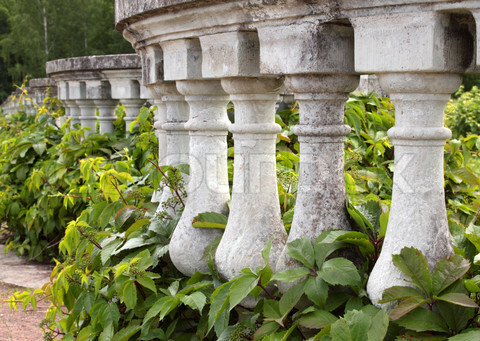 As Gilman tries to stand up he accidently snaps one of the balustrade “spiky figures’ off. 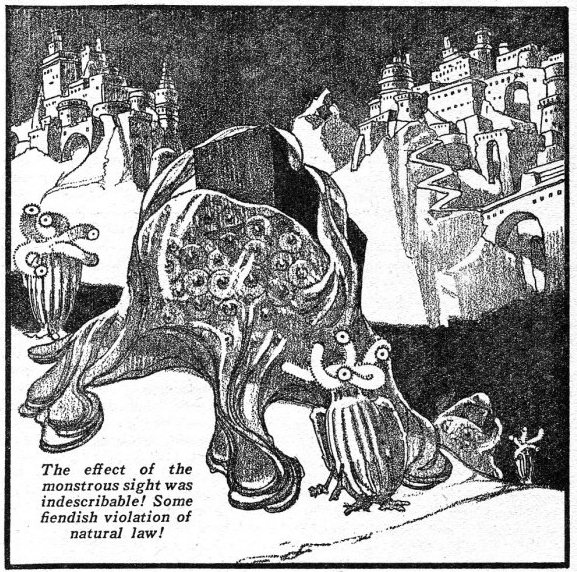 At the same time he hears something from behind and turns to see five figures walking toward him, which included Keziah Mason, Brown Jenkin and three of the barrel-shaped entities, 8 feet tall and “propelling themselves by a spider-like wriggling of their lower set of starfish-arms.” This causes Gilman to awake up in his bed and immediately leaves his apartment. He comes back later, around 9 o’clock at night, and to his horror and amazement he finds the spiky figure of the Elder Thing that he accidentally broke off the balustrade in his dream on his table. In the story this was a turning point because before this incident, Walter Gilman was convinced everything that was occurring was due to some bad dreams and being overworked. With the appearance of the Elder Thing figurine, the problems within his dreams become manifested into reality. 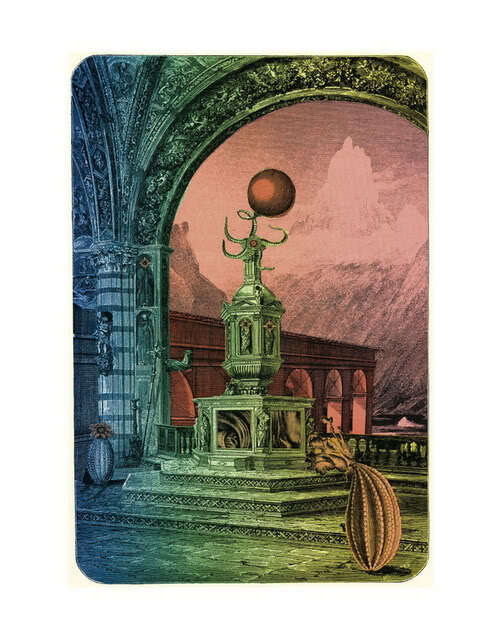 Is this what the spiky figurine of the Elder Thing looked like, that Walter Gilman broke off the balustrade in his dreams (artwork by Jason McKittrick)? So the question is – why were the Elder Things associated with Keziah Mason and Brown Jenkin? The great Lovecraftian scholar S.T. Joshi in the Penguin Classics edition of The Dreams in the Witch House and Other Weird Stories was wondering about this as well. However, once again discussions about this story on the H.P. Lovecraft Literary Podcast were very enlightening. 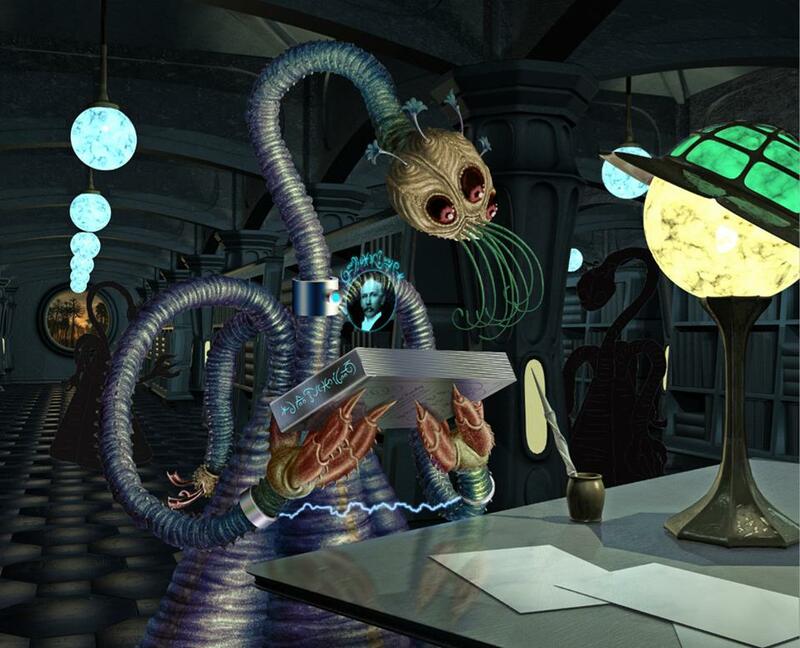 Some of the hypotheses proposed included that since Keziah Mason and Brown Jenkin can travel through time and space that they were visiting the Elder Ones for some forbidden knowledge. Remember the terrace that Walter Gilman was on looked very different than Antarctica. It was a steaming, jungle environment with three suns so it was not Earth or even ancient Earth. For some reason, in my mind, I think of that brief glimpse we get of the Predator’s world in the Alien vs. Predator: Requiem movie. Not the spaceships but the atmosphere and buildings (see below). Home world of the Predators in AVP: Requiem. Did the world that Walter Gilman visit in The Dreams in the Witch House look like this? We may never know why Walter Gilman saw the Elder Things and what Keziah Mason and Brown Jenkin were doing “associated” with such entites. However, is this how the Elder Things arrived at Earth over a billion years ago? Maybe they used hyperspace, guided by the representatives or “wizards” of Nyarlathotep to get to Earth. It is said the Elder Things filtered down from the stars and later lost the ability to conduct interstellar travel. 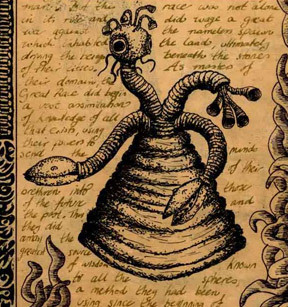 Did the cults of Nyarlathotep fall out of fashion in the Elder Thing civilization, leaving them Earth-bound? This would explain how they lost their ability to travel through space (and maybe time as well). Next time I will be talking about the architecture and mathematics of the great City of R’lyeh. On a concluding note, I must say, as we leave the Witch House, that I listened to samples of the Lovecraftian Rock Opera – Dreams in the Witch House and really enjoyed the music. I intend on purchasing a copy of this and would recommended it; give it a listen. If a live show of this every comes to Philadelphia, I would definitely attend. Thank you – Fred. The Elder Ones created the Shoggoths. A lot has been said about this fascinating relationship in the At the Mountains of Madness and what ideas filtered from HPL’s mind and onto the page to produce such an interesting concept. 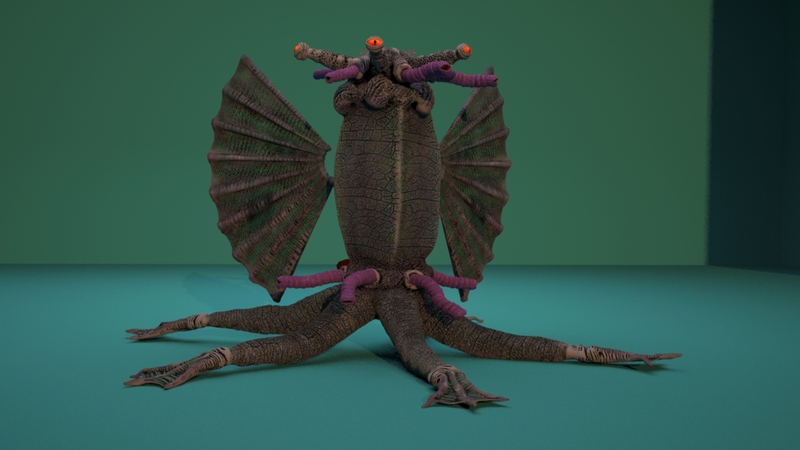 This article will discuss the relationship between the Creators (Elder Ones) and the Created (Shoggoths) and what it has been interpreted to represent. 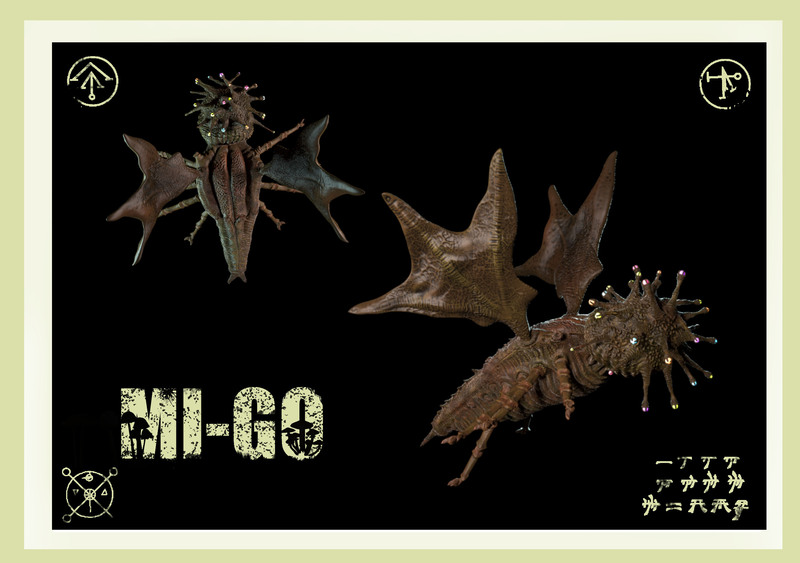 Two ideas have been frequently identified in discussing the relationship between the Elder Ones and the Shoggoths. The first is more political and societal, discussing how this relationship represents a class-based society, which in turn necessitated the enslavement of one group of entities over another. 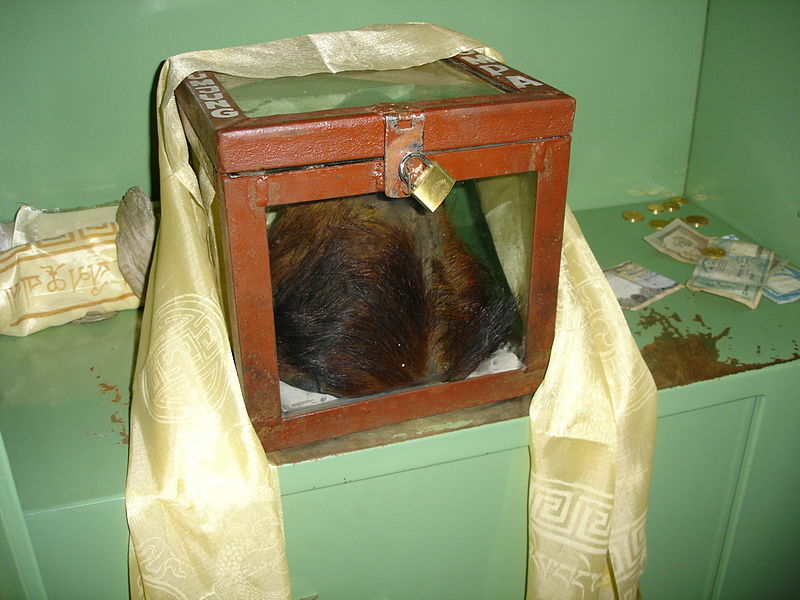 The second idea is how pushing the boundaries and abilities of science result in some complicating situations, and possibly the downfall, of a civilization. This article will focus on the first idea, while a subsequent article will focus on the second. 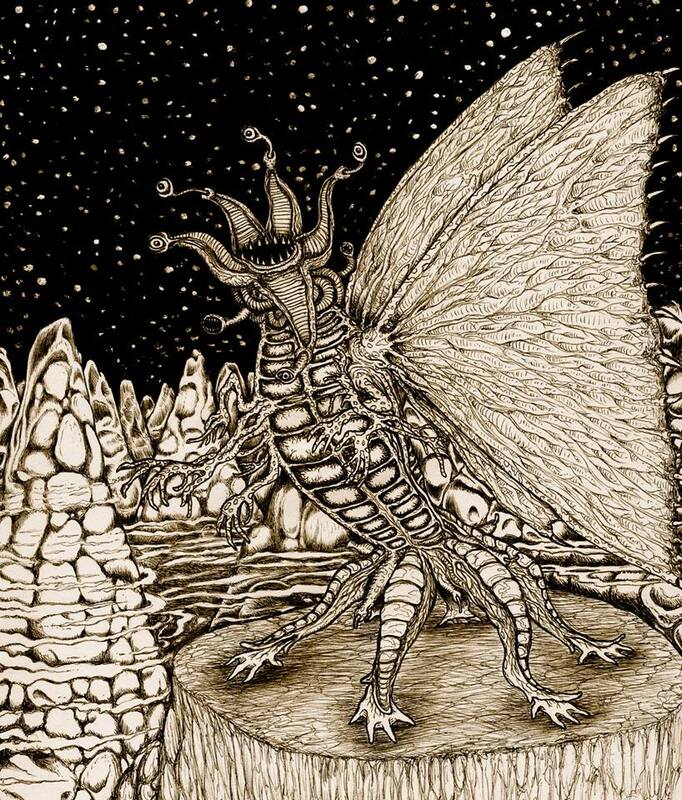 A lot of material has been discussed and written about how the relationship between the Elder Ones and the Shoggoths represents Lovecraft’s view on society and civilization. In addition, these interpretations of HPLs views have been quite varied. 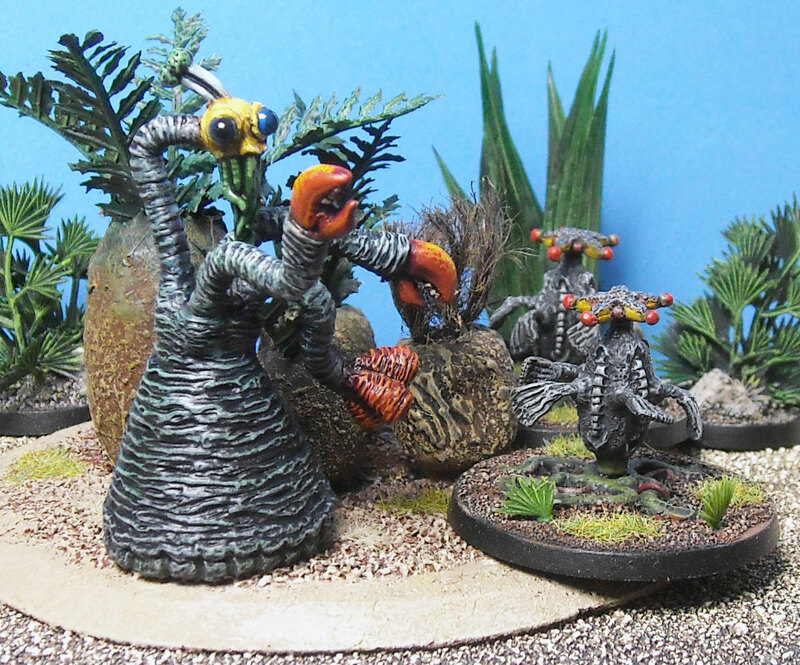 Some see the Elder Ones and Shoggoths representing HPL’s ideal civilization where an elite class (or in this case species) rules over a class (species) of workers or laborers. Others see it as an analogy of the history of slavery in America and still others think of it as representing the inevitable fall of civilizations due to societal decadence. However, in order to get a glimpse of what themes and ideas HPL may have been thinking of while writing At the Mountains of Madness, one need to examine some of his non-fictional writing. First, in An H.P. Lovecraft Encyclopedia (S.T. Joshi and D. E. Schultz, Greenwood Press, 2001) and as previously mentioned on this blog site, the Elder Ones are somewhat identified with humans in many ways relative to the rise and fall of civilization and technology. In addition, HPL describes the Elder One government as socialistic, which is what HPL was a proponent of in his views of government. Other ideas that have been discussed include the Shoggoths as a literary representation of slavery in America and that the rise and fall of the Elder One civilization comes from HPL’s assimilation of Oswald Spengler’s The Decline of the West (Joshi and Schultz, 2001). The book Miscellaneous Writings, edited by the eminent Lovecraft scholar S.T. 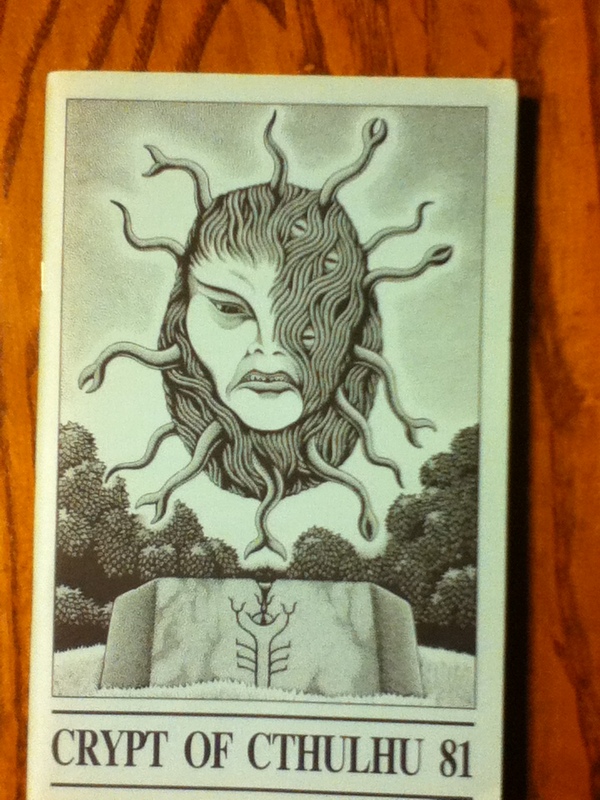 Joshi (Arkham House, 1995) provides more direct insight into HPL thoughts on this subject matter. In a section of that book called “Political Theorist” a number of Lovecraft’s essays on this subject are provided. However, Joshi provide some very insightful information in his introduction to that collection of essays. In it Joshi cites that through his life HPL moved from his desire to be within the upper class of an aristocracy to over time arriving at more of a socialistic view (Joshi, 1995), similar to the Elder Ones. HPL thought that such an aristocratic – socialistic system would foster the upper class to develop in the arts and sciences. It is interesting to note that in HPL’s “utopian” political system, economic wealth would be more equitably distributed but political power would be limited to a few – as he called it – an oligarchy of intelligence (Joshi, 1995). 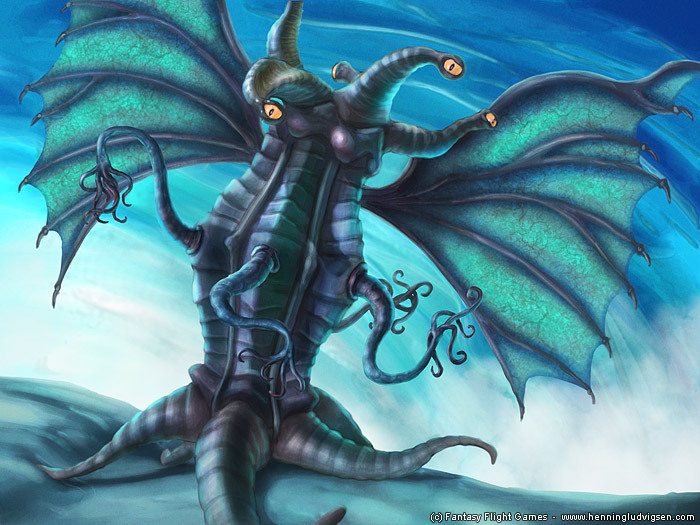 If you are an Elder One, such a system sounds like a pretty good deal – but what if you are a Shoggoth?